If the relevant public understands that the designation primarily refers to a type--or genus--of goods rather than to their source, the designation is a generic term, available for use by everybody, because it is not capable of distinguishing one applicant’s goods from those of others. For example, PRETZEL CRISPS for pretzel crackers. The designation might be merely descriptive of the goods, in which case a period of substantially exclusive use and advertising might cause it to become distinctive as a source identifier (acquiring a so-called “secondary meaning”). For example, COASTER-CARDS for coasters suitable for direct mailing. The designation might even be generic for one type of good but inherently distinctive as applied to a different type of good. For example, CAMEL is the generic term for a type of animal, but is arbitrary (and therefore inherently distinctive) as applied to cigarettes. Humboldt Street Collective LLC, d.b.a. Great Notion Brewing and Barrel House, applied to register the word mark BLUEBERRY MUFFIN for “beer” on the Principal Register (which is for inherently distinctive marks). The Examining Attorney refused registration on the ground the mark was merely descriptive of the goods. The Applicant accepted this categorization by amending its application to seek registration on the Supplemental Register (which is for merely descriptive marks that have not yet acquired secondary meaning). The Examining Attorney again refused registration, even on the Supplemental Register, this time on the ground that the mark was a generic term for beer. Surprise! The Applicant appealed this refusal to the Trademark Trial and Appeal Board (TTAB), which had to decide whether BLUEBERRY MUFFIN was merely descriptive of a flavor for beer or was a generic term for a type of beer. How would you decide? The parties agreed that the proper genus in this case was “beer.” The Applicant argued that the relevant public was “craft beer drinkers.” However, the application was not limited to craft beer, and the specimen of use identified one of Applicant’s house beers as BLUEBERRY MUFFIN. So the TTAB found that the relevant purchasers were ordinary members of the public who are beer drinkers. The question was how beer drinkers would understand BLUEBERRY MUFFIN for beer. There are various ways of establishing such an understanding -- by testimony, surveys, dictionary listings or articles, among other things. 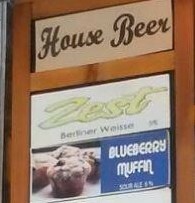 In this case, the Examining Attorney introduced evidence of the Applicant’s own websites, which indicated that its beer contained blueberry muffins as a key ingredient; third-party websites describing their blueberry muffin beers and blueberry muffin non-beer beverages; the Urban Dictionary definition of “blueberry muffins” as a “synonym for Leinenkugel’s Sunset Wheat beer, which tastes suspiciously of blueberry muffins”; and evidence that various flavored beers were gaining popularity. The Applicant presented evidence of third-party registrations of flavor marks for various beverages. But nearly half of these registrations disclaimed the exclusive right to use the flavor terms, and no prosecution files were submitted, so any arguments made during prosecution were not of record. Further, the TTAB said that it simply was not bound by the decisions of examining attorneys in other applications. So on the evidence before it, the TTAB concluded that BLUEBERRY MUFFIN was a generic term that should be freely available for use by competitors selling that type of beer, and it affirmed the refusal of registration. Do you agree? In re Humboldt Street Collective LLC, Application No. 87152277 (T.T.A.B. March 29, 2019).